Sevierville is located just north of the Great Smoky Mountains National Park and west of the Forbidden Caverns. Known widely as the home of country singer and icon Dolly Parton, Sevierville has small town charm and a whole lot to offer. The family-friendly amenities here are a great alternative to explore the outdoors, but there’s plenty of that here as well. Go back in time at the Tennessee Museum of Aviation. The museum is located on the grounds of the Gatlinburg Pigeon Forge Airport, offering 50,000 square feet of space to showcase vintage aircraft. Explore the collection of military vehicles, aircraft engines, fighters, helicopters, trainers, and more. The museum is open year-round, but hours are extended during the busier summer season. For more than 20 years, the Apple Barn Cider Mill & General Store has been serving freshly made apple-based products, including ciders, wine, baked goods, and more. The Apple Barn sits next to a 4,000-tree orchard. The Apple Barn village is home to a winery, creamery, candy store, Christmas store, and two restaurants. Forbidden Caverns is a truly unique Tennessee experience. The route to the Forbidden Caverns affords visitors views of primitive farmhouses, an old grist mill, and trout farm. Take a 55-minute tour of the cave, which features intricate formations, grottos, and water features. The tour is both educational and fun. Prepare for an exciting experience underground. Foxfire Mountain Adventure Park opened in 2010 offering ziplining, rope jump, climbing courses, bridges, and trails. The biggest adventure seekers cannot miss the Goliath five-line zip course, which is the highest zipline in the Smokies. Foxfire is also home to the Wyile Cider Mill. Take a tour and try some handcrafted ciders. 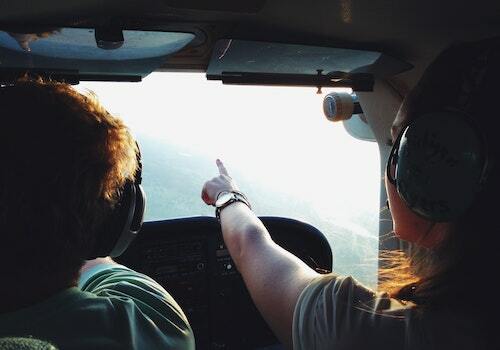 Experience the beauty of the Smoky Mountains with this tour company that offers ten different helicopter tours that include local flights, scenic mountain tours, and a four-mile introduction ride that reaches 800 to 1,000 feet high. The Tennessee Smokies are a Double-A minor league affiliate of the Chicago Cubs based in Kodak. Located right outside of Knoxville, the Smokies Stadium ballpark is the perfect “Nine-Inning Vacation” getaway for family and friends. Bloomin’ Barbecue & Bluegrass is free for the whole family, and it’s a favorite among Sevierville locals. Come enjoy live music and see who takes home the crown of Tennessee State Champion in the Bush’s Best TN State Championship Cook-Off. Music lovers will enjoy the Dolly Parton-inspired Mountain Soul Vocal Competition. Browse our selection of Sevierville vacation rentals. With access to the Smoky Mountain’s greatest attractions, you may never want to leave.